While Caps fans in DC are likely celebrating – with good reason – the announced trade that’s bringing Blues stand-out TJ Oshie to Washington next season, so too are longtime fans from his days playing at the University of North Dakota. Which means that Michele Johnson – Caps fan, UND grad, and all around hockey sharpie – is probably more excited than almost anyone right now. Michele has been watching Oshie’s play since he came to Grand Forks, and can’t wait to watch him now, years later, at Verizon. Although she’s in North Dakota right now, she couldn’t wait but to share some thoughts on why TJ is such a big deal in DC. One cold Saturday morning in 2014, I set my DVR for Olympics hockey and headed out to Congressional Cemetery to walk my dog. With TJ Oshie and Zach Parise strapping it on for the USA, and Blackhawks captain Jonathan Toews doing the same for Canada, I was confident the alma maters of my alma mater – the University of North Dakota – would represent. 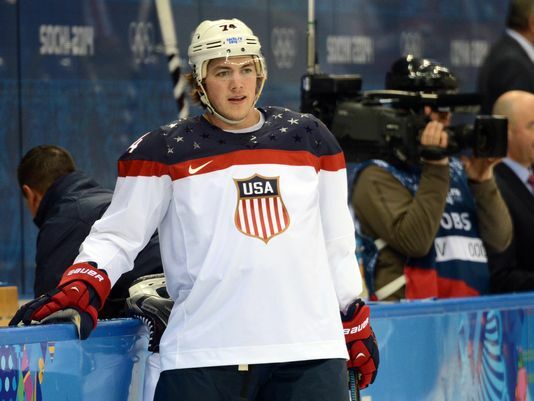 I knew it my bones: TJ Oshie, former Sioux standout, had saved the day for the U.S. team and electrified fans across the nation. Just as he had back at UND. 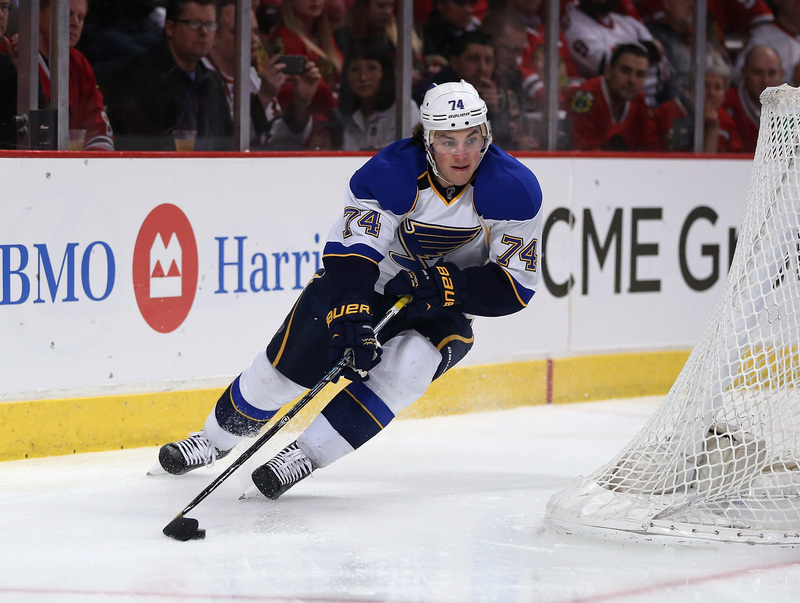 Oshie was a star for the Fighting Sioux and is still a huge supporter of the college program. Before this year’s Frozen Four, he tweeted well-wishes, all the while sporting UND garb in his Facebook and Twitter presence. At UND, he starred on the “DOT Line:” that was Ryan Duncan (Hobey Baker winner), Oshie, and Jonathan Toews. How’s that for a college hockey line? My TV boyfriend Jon Hamm is also an Oshie fan, vowing to name his first born, “TJ Oshie Hamm. Boy or girl.” TJ’s joy for the game is palpable and his skill for making a difference in key games is undeniable. So as a UND fan and Caps fan, this is a red letter day. Or a green one. And the icing on the cake? When Oshie comes to DC, he’ll reunite with former Fighting Souix teammate Taylor Chorney, who played with Oshie in three Frozen Fours. As for North Dakotans, I happen to be in Grand Forks today, and the TJ Oshie deal is a lead story for the local sports broadcast. God bless America! This entry was posted in Washington Capitals and tagged Fighting Souix, T.J. Oshie. Bookmark the permalink.